Primitive Man and Unearthly Trance have concocted a darker than black split, showing off their respective skills in creating singular experiences. If I had to describe the current trends in music in one word it would probably be ‘Dooooom‘, of course with a lot more Os. But doom is not just one style of music, but instead encompasses rich influences from stoner over blues to straight up noise. The split between Primitive Man and Unearthly Trance takes a variety of approaches while displaying the best of both bands. Abyssal feedback and darker than black chords announce the blackened doom noise heavyweight Primitive Man. Contrary, while not at all tame, Unearthly Trance show off their bluesy yet harrowing melodies and starry night sky ambiance. What comes off as positive straight away, is the shared intro track on which both bands worked. It is barely a minute long and features swelling noise, leading into the first full track on the split. The first assault against our ear drums comes with “Naked“, one of two songs by Primitive Man on here. Warm, oozing feedback envelops the listener and swells up to a monster of frequency, delivering both a warm bass drone as well as howling treble. The shift into a full-blown cacophonous melody is so subtle, I felt like a fly caught in a trap. After circa three minutes, the abstract noise has fully taken on its eldritch form. Dissonant chords ebb against the massive drums like a cliff. This is Primitive Man at their peak; this is madness. Six minutes after the song has started and the guttural vocals kick in, shredding my ear drums. Dissonance has turned into abyssal chords and swarming feedback. What is violin to most folk bands is feedback to Primitive Man, making use of wailing beauty. At the end of the track, the band goes up to full speed to manifest them once again as one of the most vicious, raw acts out there. Their next track “Love Under Will” is rather stripped down and only few traits remind me of the maelstrom witnessed moments before. A melody chimes in, a pretty one even, before it slowly fades to ambient sounds of wind whispering. Shrill feedback pops in here and there, before the song turns into a harsh noise extravaganza. Bass boosted drone over the same shrill feedback as before are the tormentors here, though careful to not stay too long. Everything goes quiet and the song ends. Even though one could argue that not a lot happens on this track, I enjoyed it for its ambiance and as a palate cleanser before moving away from Primitive Man’s material. Now we move onto the side of the split claimed by Unearthly Trance. “Mechanism Error” is their first track and they do not waste time. Big power chords, a fuzz pedal turned all the way up and a good chunk of atmosphere are what we hear first on this track. The vocals kick in quickly and they are just as vicious as those before, but Unearthly Trance present themselves differently. An almost horror movie-esque atmosphere creeps through their tracks, like a death-doom song set to Friday the 13th. Between the constant hissing of the hi-hats and the pummeling, palm-muted guitar you can hear carefully crafted eeriness. What you can also hear are slowly picked notes that give the track more flair, making the pummeling less dull. A bluesy solo takes us through the middle part of the song and the band kick up the speed one more time before vanishing slowly in the fog of pure noise. While varying in speed, many of their other tracks are similar to this one. A lot of pummeling, some pleasant noise and harsh vocals. Personally, I have enjoyed Unearthly Trance‘s side of this split less than Primitive Man‘s, simply for the fact that while their first track was fine, three tracks was just overstepping their welcome. They bring little new to the table and have not stepped up their game from their last LP. 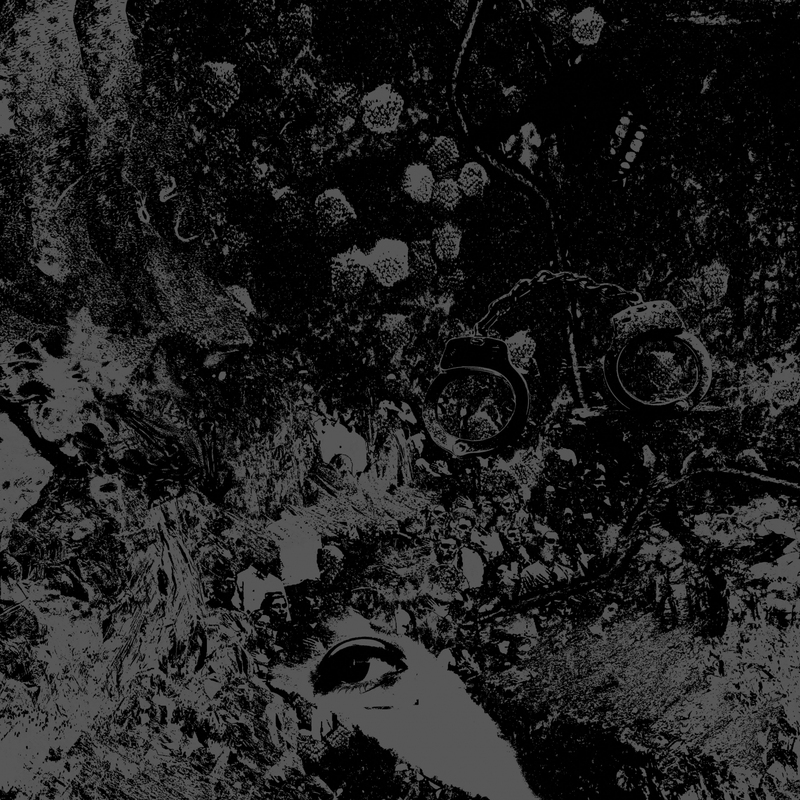 Primitive Man, however, are on their peak here, making smart decisions with tropes they’re known for and bringing a sense of progress to this split. Previous PostHear Your Wake-Up Call with Pablo Matisse' "Rise" and "Wasting Light"